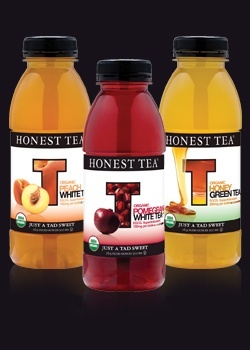 All Honest Tea products are USDA Organic certified. This means that their beverages and tea bags are produced without antibiotics, pesticides, irradiation or bioengineering. Organic farmers are required to adhere to certain soil and water conservation methods, and their practices are monitored by third-party certification agencies. Honest Tea encourage consumers to look for the Organic seal on all food and beverage products they purchase. But if you are just getting to know the benefits of organic practices, tea is a great place to start. Unlike other products, such as fruits and vegetables, a tea leaf is never washed. In fact, the first time tea leaves touch water is when they are brewed moments before the tea is drunk. That means that pesticides - if they were used in the growing process - are likely to end up in your beverage, and ultimately in your body. It’s a risk that we at Honest Tea are simply not willing to take. Organic products are better for your health and they are better for the Earth. That’s why USDA Organic certification is a critical part of Honest Tea’s commitment to social responsibility.